Lake Cormorant High School Senior Cordarius Harris is the international powerlifting champion in his weight class for 2017. 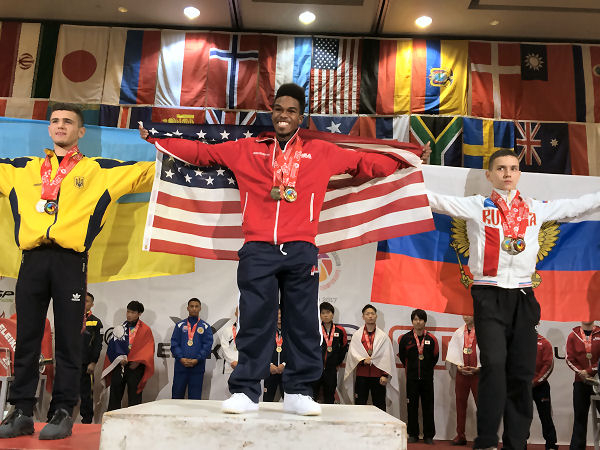 Cordarius Harris, a senior at Lake Cormorant High School, is a world champion powerlifter, beating Russia and Ukraine in the final championship round. He conquered competitors from over 32 nations to earn the title of 53 kg. Sub Jr. IPF World Champion in Orlando, FL. While this is the lightest weight class, this 116-pound athlete has super human strength. Nick Dowdy, now a coach at the University of Memphis, has been Harris’ coach since his freshman year in high school. Even though Dowdy has taken on a new position, he is also the assistant coach for Team USA, and continues to mentor his former students. Getting to the international competition has been no small feat. While Harris’ family helped him, so did his classmates through fundraisers, the Board of Supervisors though a monetary contribution as well as community members and teachers in the Lake Cormorant area. Going to an international competition is a challenging task. To compound Harris' anxiety, his suitcase with his equipment, suit, support belts, and wraps was stolen at the airport. Also, his flight went through Houston, Texas as the hurricane was hitting the area. “Other teammates allowed him use their equipment,” Dowdy said. “Using unfamiliar equipment did not stop him,” Dowdy added. Winning an international title in powerlifting is a first for Mississippi. Cordarius told his coach he wants to continue to compete at the college level, and hopes he will earn a scholarship to do so. It was an impressive line-up of elected officials who came to the Career & Technical Center—West to see how this facility was benefiting DeSoto County Schools' students through academic and career-technical classes. U.S. Senator Roger Wicker, DeSoto County Schools board members, DeSoto County Board of Supervisors, Mississippi State Senator David Parker and Horn Lake Mayor Allen Latimer listened and learned by touring classrooms and seeing what students are doing to become college and career ready. CTC Principal Allyson Killough and Superintendent Cory Uselton led the group through the $12 million, three-year-old facility and paused as officials talked to instructors and students in each classroom. As the group entered the Health Sciences section, students were practicing intubation, a procedure by which a tube is inserted through the mouth down into the trachea (the large airway from the mouth to the lungs) on realistic looking medical dummies. As the group moved to the Robotics and Engineering classroom, Killough pointed out how architects designed the entire building to be a learning device itself. “Many cables and wires are visibly exposed for learning purposes,” she said. 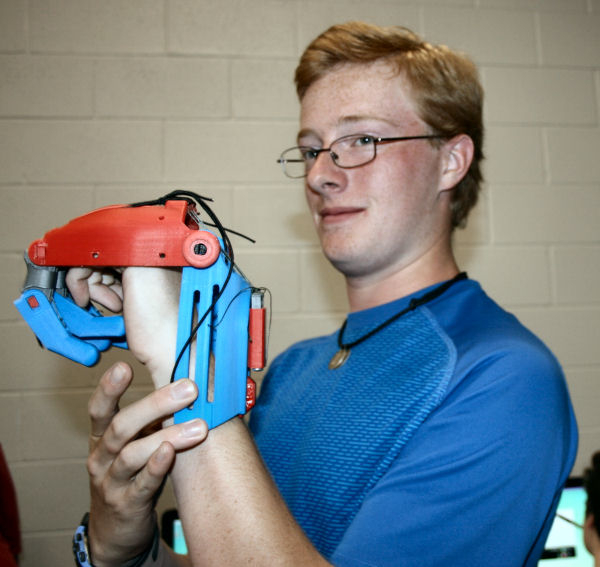 CTC-West Student Michael Marsh designed and built a prosthetic hand in class. Theresa Holland, the engineering and robotics teacher, introduced student Michael Marsh to the group. “Michael worked with the Health Sciences students to design and build a prosthetic hand in this class. It was a collaborative effort that really taught him what we wanted to accomplish in this class,” Holland said. Bryan Hudson, instructor for Informational Technology, showed how his students were producing a video program about CTC-West, incorporating digital graphics and content about what the school teaches. Christy Rochelle, instructor of the culinary arts program, toured the group through the school's commercial kitchen that would be the envy of a 5-star restaurant. A hydroponic system at the end of her kitchen grows oregano. Senator Wicker pulled a leaf and took a deep breath as he complimented her on the facility. 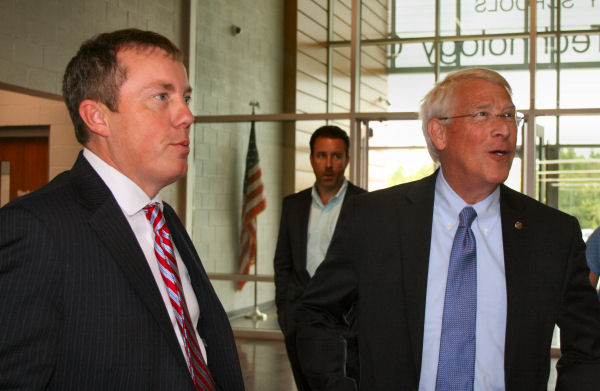 Supervisor Lee Caldwell led Senator Wicker through the construction and automotive sections of the facility. Lee Caldwell said, "There was tremendous community support to get this off and running. This facility was a team effort. It is exciting to see students engaged in learning." 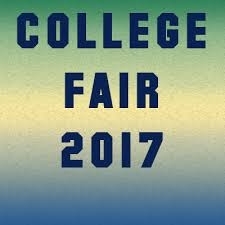 High school students and their parents will have the opportunity to talk to college representatives from schools throughout Mississippi, Alabama and Tennessee at the DeSoto County College Fair on September 11 from 5:00 to 7:30 p.m. at Southaven High School. There is no charge for admission. Students can enter through the front or back of the main building at SHS. Schools will have booths and representatives on hand to answer questions. Approximately 40 colleges will be represented. 5:00 p.m. -- 7:30 p.m. There were some eyes swimming and lower lips trembling. This describes a few of the parents dropping off their kindergarten student for the first time at Hope Sullivan Elementary School. The HSES PTO organized a “BooHoo Breakfast” for parents to ease the tension and transition the parents from their child’s classroom to the cafeteria where they were served warm donuts, orange juice and Kleenex. While Khloe saw her mother continue to wipe away tears, she could not quit looking at her new tennis shoes that would light up when she walked. One last hug and Khloe left her mother’s side to go to her seat to begin coloring a self-portrait. 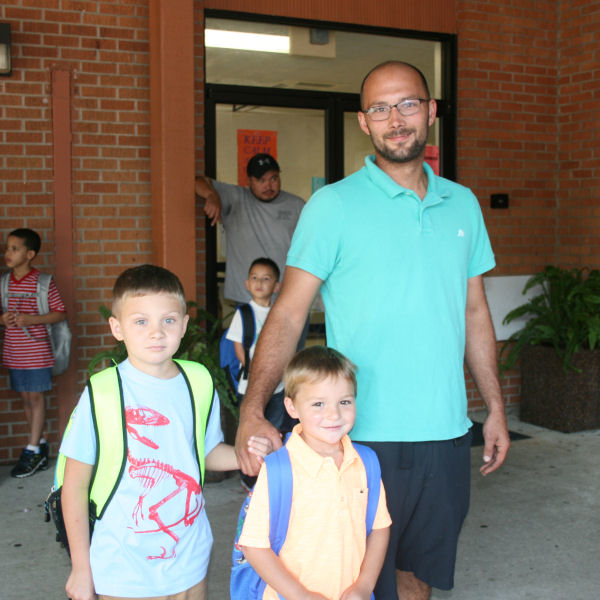 Mason Upchurch was escorted to kindergarten by his father, mother, big brother and little sister. His big brother, Tyler, kept a close eye on his little brother and told him he was going to like his kindergarten teacher, Mrs. Melinda Tutor. Tyler had her as a teacher two years ago. There were no tears from the Upchurch family. All had a look of anticipation and hope, possibly mixed with a little anxiety. PTO President Jacinta Jones and Treasurer Gary Coleman welcomed them to the Hope Sullivan Elementary School family. HSES Principal Bettye Magee stopped by to also reassure parents their children would be well-supervised. After families got their children settled, they headed to the cafeteria where they were met by PTO. When you are three years old, have a backpack, take your brother to kindergarten, and find out you cannot stay-- a donut can lift your spirit. 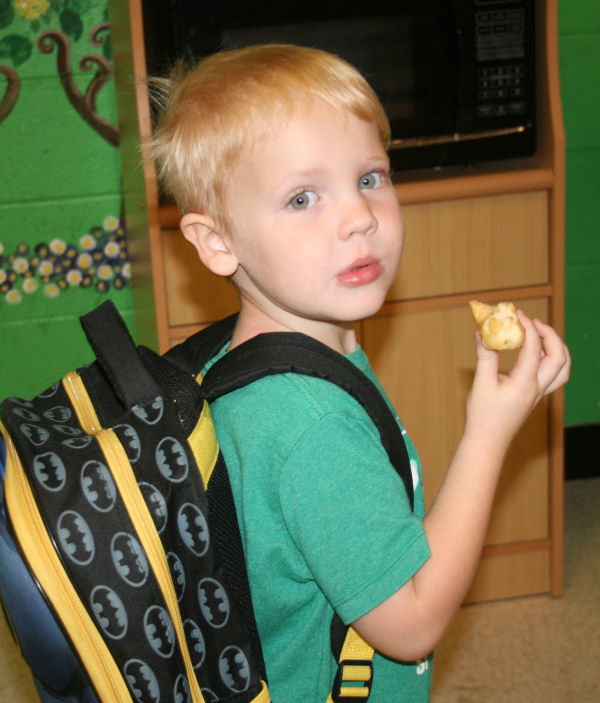 Three-year-old Daniel Edward entered the cafeteria wearing a backpack. Chick-fil-A of Olive Branch and Southaven donated to DeSoto County Schools and The Foundation for Excellence in Education Classroom Grant Program. 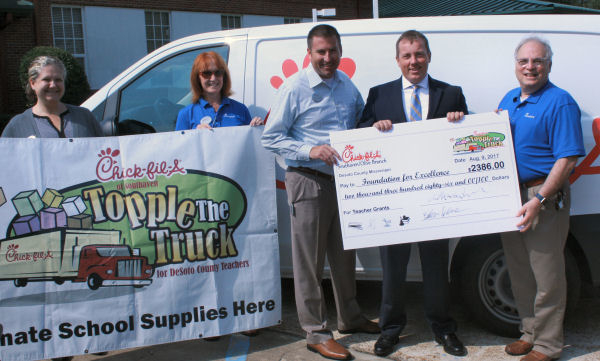 School supplies and teacher grants--Chick-fil-A donated both from their annual “Topple the Truck” campaign, a windfall for DCS students and teachers. Chick-fil-A Franchise Owners Brandon Paulson and Stuart Davidson presented Superintendent Cory Uselton with a truckload of school supplies and a check for $2,386 to fund a few $500 classroom grants for the “Foundation for Excellence in Education” grant program for DeSoto County teachers. Paulson and Davidson combined their efforts to gather school supplies by offering free food to customers when they made a donation. They also donated a percentage of sales for teacher grants. “Since Truett Cathey opened the first Chick-fil-A in 1946, Chick-fil-A has been giving back to the community,” said Davidson. Paulsen agreed and explained that he feels his company has widespread support from the community and gives back when it has an opportunity to do so. Susan Fernandez, coordinator of the Foundation for Excellence in Education grant program for the DeSoto County Economic Development Council, was on hand to greet Chick-fil-A personnel and accept the check for the 501c3 foundation. “Chick-fil-A has donated $12,943 since 2005, helping award 26 teacher grants as part of the DeSoto County Foundation for Excellence in Education. This check will provide great resources to yet another five or more classrooms,” Fernandez said. 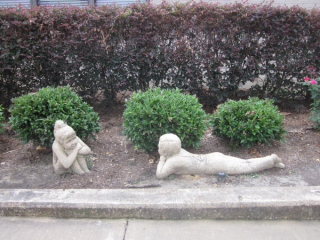 What does a new principal do when she sees a need for cosmetic work at her school? Stacey Pirtle, principal at Oak Grove Central Elementary School, scheduled a volunteer workday on a Saturday. What was surprising was the overwhelming response—teachers, the Krewe of Hernando, PTA members, and former students came ready to work. Pirtle had task cards ready that specified certain projects on her “to do" list. With little direction, these volunteers transformed the school's reading garden by cleaning out all the undergrowth, constructing a rock garden in multiple locations to improve drainage, power washing areas of the building and trimming small trees and shrubs. “In about four hours, approximately 30 people transformed the outside of this school,” Pirtle said. 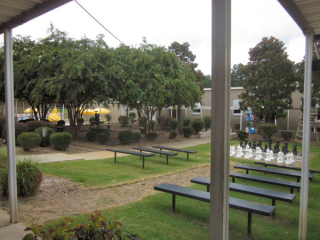 “We have a giant chess set on the back in the reading garden. “I was amazed how our volunteers were on their hands and knees cleaning the tiles that support the structure,” she added. Oak Grove was originally constructed 58 years ago. This year, the school district has renovated restrooms, added new windows, installed new ceiling tiles and painted the building. 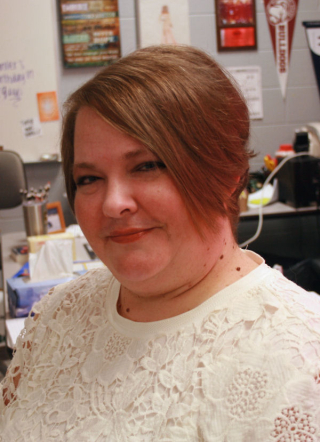 A Horn Lake High School teacher received a national award from the Southern Regional Education Board (SREB) for her work to help under-prepared students succeed in high school and post-secondary studies. 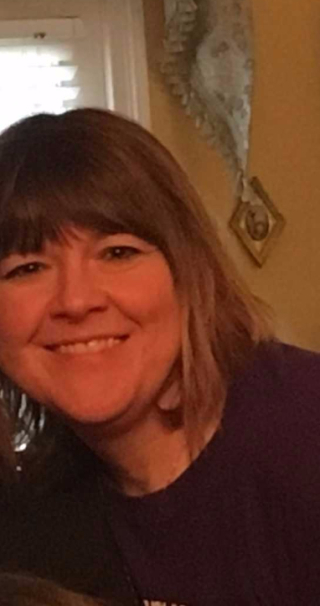 Mary Zluticky was named the “Outstanding Literacy Ready Teacher.” She says with the Literacy Ready program, her students work harder, while at the same time her expectations of her students are higher. In her class of 12 students, seven improved their English scores, while two-thirds improved both their reading, science and composite scores on the ACT. The award was presented at SREB’s Readiness Courses Institute, held in July in Nashville, TN. Zluticky accepted the award in front of an audience of 3,000 people who represented 30 states. Kayla Herron, a student in Ms. Zluticky's English 4 class, said, “She is a good teacher and is always willing to help her students in any capacity." Beginning in the 2017-18 school year, the SREB Readiness courses will be renamed to Essentials for College Literacy and Essentials for College Math. Starting in the 2018-19, all Mississippi high schools will be required to offer the classes to eligible students. 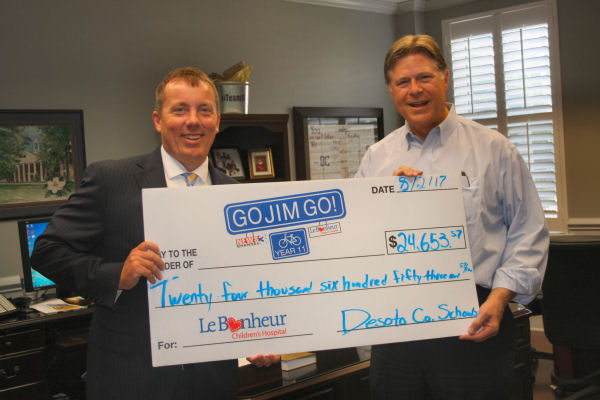 DeSoto County Schools raised more money for "Go Jim Go!" and LeBonheur Children's Hospital during the 2016-17 school year than any other school district in the Mid-South. Jim Jaggers of WREG-TV stopped by Superintendent Cory Uselton’s office to show him the "big check" that DCS provided. 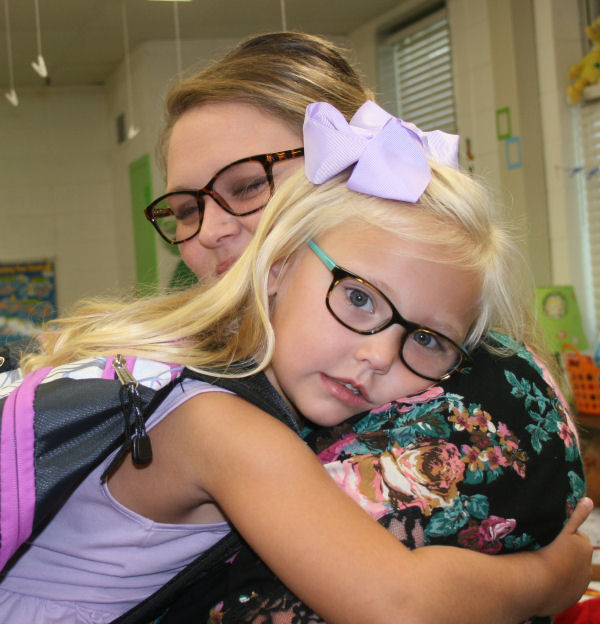 “This is another wonderful example of the heart and compassion shown by our students, teachers, staff and the DeSoto County community! 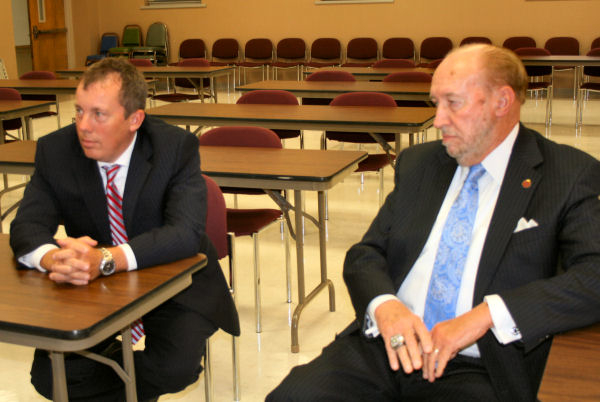 Great things are happening in DeSoto County Schools,” said Superintendent Uselton. 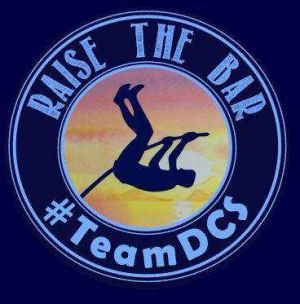 DeSoto County Schools raised $24,653.57. 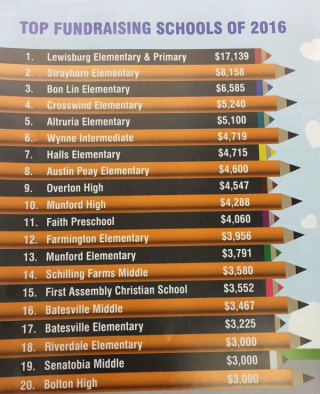 There were 93 schools participating and the top fundraising schools of 2016-2017 were Lewisburg Primary and Lewisburg Elementary Schools. Their combined efforts raised $17,139 for "Go Jim Go!" and LeBonheur Children's Hospital. Many applied. 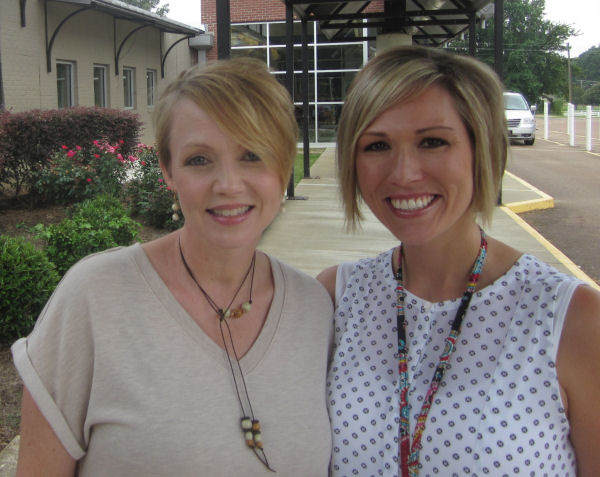 Few were chosen to serve on the Mississippi Teacher Council. 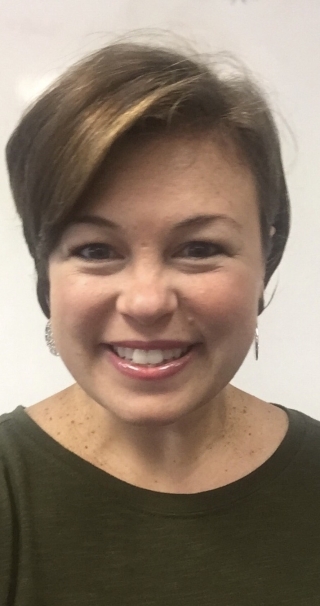 More than 150 teachers applied for this honor, but only 60 were chosen to provide feedback to Dr. Carey Wright, State Superintendent of Education, on the initiatives of the Mississippi Department of Education (MDE), the Mississippi State Board of Education (SBE) and the Mississippi State Legislature. The MTC aims to empower teachers to discuss topics critical to their success in the classroom and how MDE can assist. 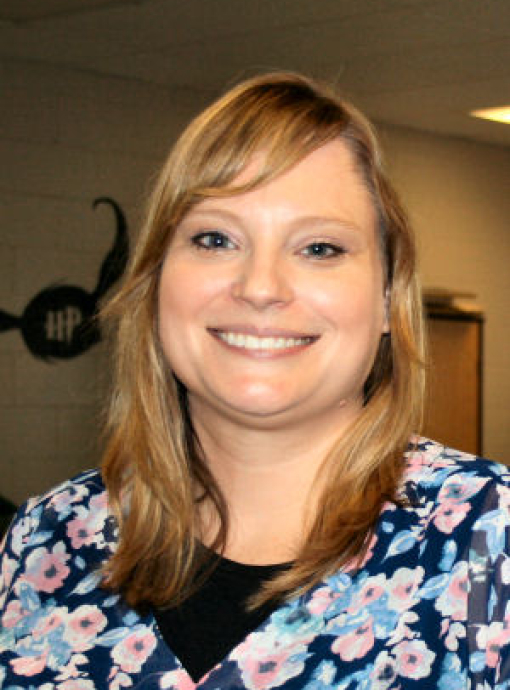 Five teachers from DeSoto County Schools made the cut, with the new addition being Lake Cormorant Middle School Teacher Ida Rohrbacker. Four other teachers were selected last year and were notified that MDE would like for them to serve another term. 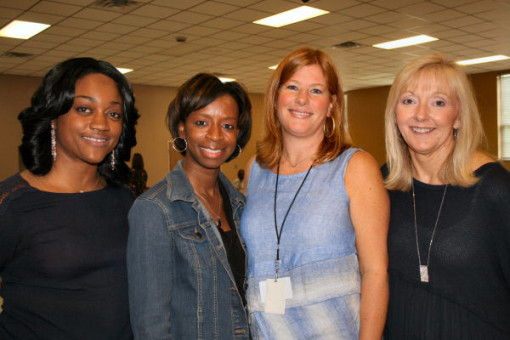 Other DCS teachers serving on the Council include Deidre Lovett of Lake Cormorant Middle School, Todd Willis of Pleasant Hill Elementary, Tonya L. Porter of Center Hill Elementary and Candy Abrams of Olive Branch Elementary. “We want to learn from our teachers in the classroom who often implement effective strategies that can be shared and replicated statewide. They provide valuable insights that could improve MDE initiatives. 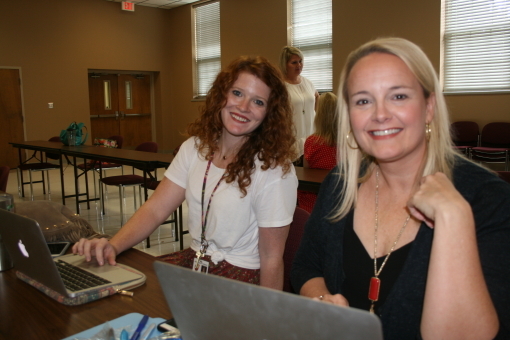 Additionally, the MTC will provide a venue for teachers to become advocates for their students and their profession through input into the decision-making process,” said Dr. Wright. American School Counselor Association (ASCA) named Hernando Middle School as a Recognized ASCA Model Program (RAMP) school. 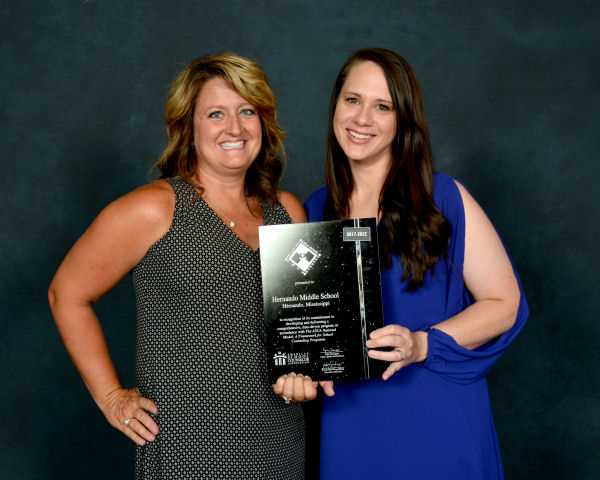 HMS Counselors Candie Garrison and Megan Kappenman received the award at their national conference in Denver, CO and were recognized by the DCS Board of Education upon their return. This is the first DeSoto County school to earn this recognition, and the only Mississippi school in 2017 to earn this recognition. There were 104 schools recognized nationally. The RAMP designation, awarded for aligning with the criteria in the ASCA National Model, recognizes schools that are committed to delivering a comprehensive, data-driven school counseling program and an exemplary educational environment. RAMP applications are reviewed by teams of school counseling professionals. Garrison said they continue to implement this model and will be applying for re-certification in five years. She explained that once this model is in place, minor adjustments are made each year to meet the needs of students. That is what the solar eclipse provided for students and teachers across the district. What is an eclipse? It is where the moon crosses in front of the sun to briefly impede its light from reaching the earth and darkens the skies. What is a total eclipse? It is when the moon moves right in front of the sun, covering it completely for a very short time and making the sky completely dark. Why do we have to wear protective glasses? The Sun's UV radiation can seriously injure the retinas of the eyes. Why is it called the “Great American Eclipse? A total solar eclipse crossed the United States from Portland, Oregon, to Charleston, South Carolina, the first time in 99 years. This eclipse crossed 12 states, so most had an opportunity to view it. 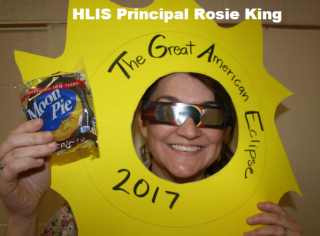 Horn Lake Intermediate School students watched the event on a live NASA feed while munching on “Moon Pies,” and sipping Capri Suns. Horn Lake Middle School students used their fire drill plan to station students to specific areas on campus for all to have a good line of sight. 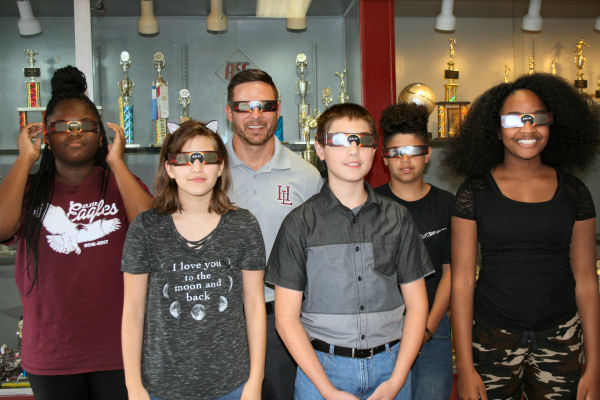 A group of students posed with HLMS Principal Nick Toungett wearing their protective glasses before they took their first look. Students joined HLMS Principal Nick Toungett before heading outside to see the eclipse. Students had to have signed parent permission forms to observe the eclipse. Toungett had a tremendous response from parents and 1,100 students observed the event. Shadow Oaks Elementary students watched CNN as the event unfolded. 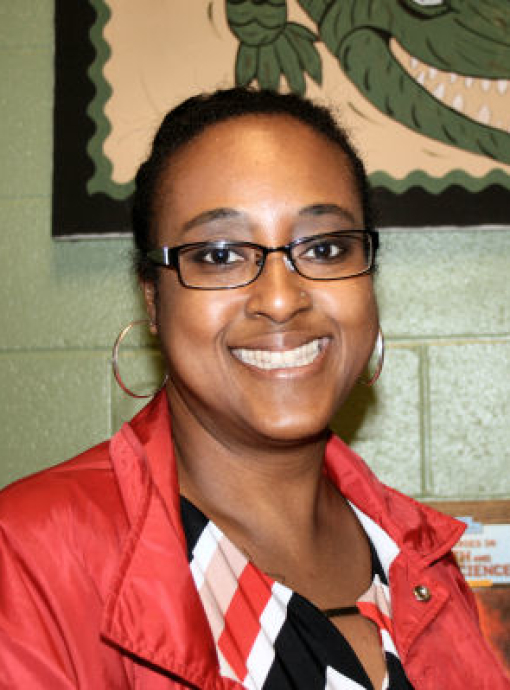 Principal Michaela Smith said the glasses were “one size fits all” and was afraid the glasses would not fit or stay in place on her young K-2 students’ faces. Drew Koga is surrounded by students from CTC-West. 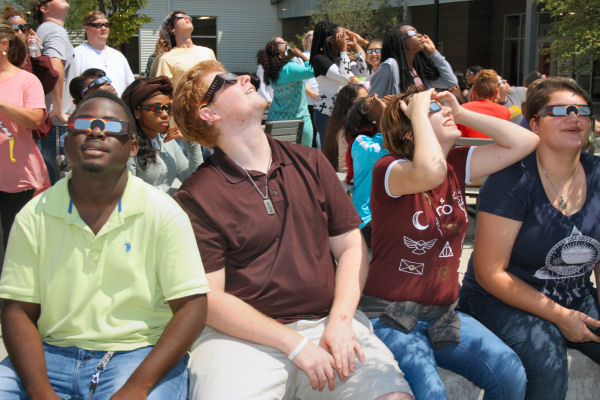 All students at Career & Technical Center-West filed into the courtyard, protective glasses in place, and watched the event at approximately 1:20 p.m.
High school students in good standing can get a jump start on their required college hours by enrolling in dual credit classes. Students get both high school and college credit for the advanced classes. 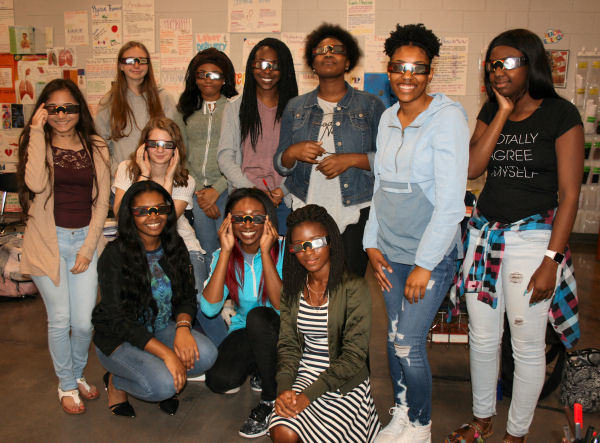 Last spring, 420 students from seven DCS high schools were enrolled in this dual credit program. This year, all eight DCS high schools offer dual credit courses and 842 students are involved, according to Superintendent Cory Uselton. 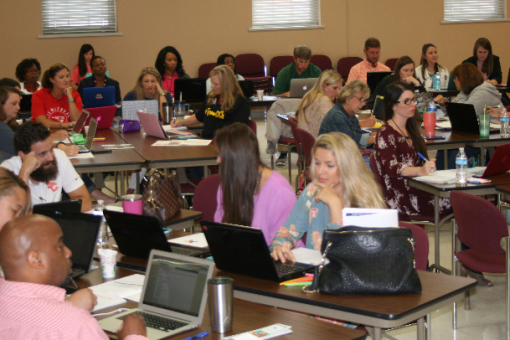 When dual credit classes are taught on a DCS campus, instructors must have a Master’s degree and 18 or more graduate hours in the subject they are teaching. 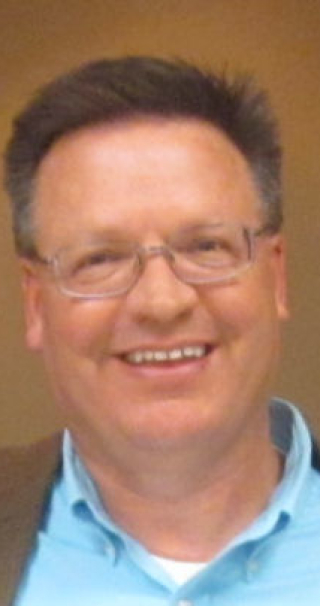 Scotty Smith is one of the instructors at Southaven High School. He teaches six classes of English through this program. Students may take online courses as well. The fee is $50 per college course, a significant discount compared to regular college tuition. Currently, DCS is offering dual credit courses in algebra, trigonometry, English Comp I and II, U.S. history, physical science, chemistry and biology. Other options are available online. Some of the dual credit courses are also taught through a partnership with Delta State University. 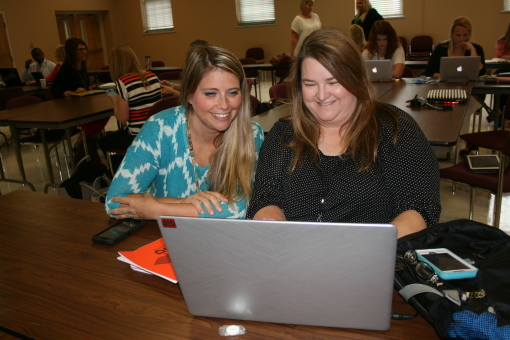 Administrators came and learned how to use School Status data to drive instruction.